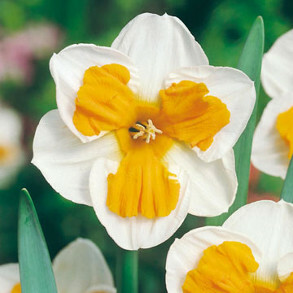 Create your very own carpet of colour with our range of daffodil bulbs. 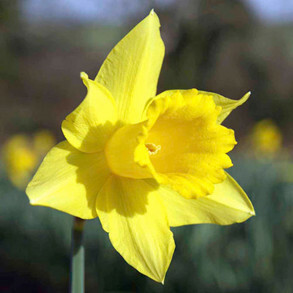 From miniature daffodils perfect for pots, to large cup daffodils for those striking displays, our range has a variety for every kind of garden. 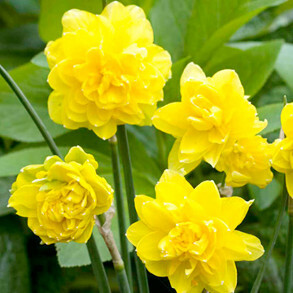 There’s something happy about the sight of brightly coloured daffs dancing in the breeze, and now you can enjoy your own display of blooms for spring. 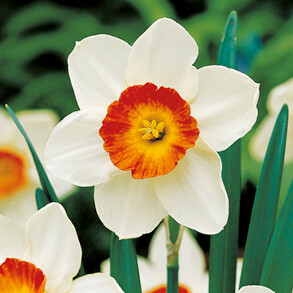 You’ll find narcissi, or daffodil bulbs for beds, borders, containers, rockeries and naturalised grass. 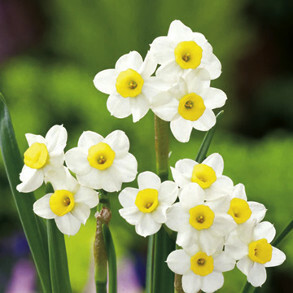 And, if you don’t want to miss out on them when you’re not in the garden, they make beautiful bouquets for inside the home too. 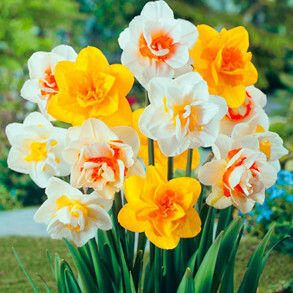 If you can’t get enough of that heady daffodil fragrance, our selection of scented daffodils have strong scents that’ll add a touch of heaven to your garden. 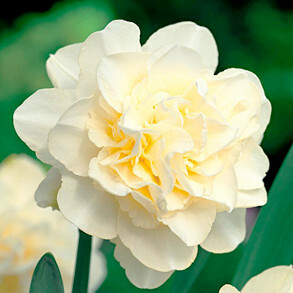 We donate 10% of the sales of our daffodil bulbs to Marie Cure.